Even if you're the most spontaneous adventurer, it's still a wise idea to find out a few basics about Ashland before you go. Have a look at it on the map, note the things to see and do and let the good times roll! Ashland is a neighborhood in Plymouth. You'll discover it 5 miles (8 kilometers) southeast of the center. Last time they counted, the population of Plymouth was 4,000. Get unbelievable bargains on vacation packages via Travelocity. Just select from more than 400 partner airlines and 665,000 accommodations, and you'll be off to Ashland in a jiffy! From accommodations and flights to activities and car rentals, we can promise you 24/7 personal assistance with our Customer 1st Guarantee. If you somehow discover a better deal on another website, we will return the difference^. If you decide to alter your package bookings for any reason at all, there will never be a charge from our end. And so long as you get in quick, many accommodations won't charge a fee either^. Experience the true essence of Ashland by basing yourself just a short walk from the center. There are 3 accommodations to pick from with Travelocity. Given the limited choice, we suggest booking as soon as possible to avoid missing out! Check out the Glynn House Inn (59 Highland Street) and the Cheney House (82 Highland St). Our top Ashland suggestions, they promise a wonderful night's sleep in a handy location. Where do you fly into for Ashland? Admire the scenic views as you approach Manchester-Boston Regional Airport (MHT). Collect your luggage, pass through security and you'll be around 55 miles (89 kilometers) south from the heart of Ashland. Can I rent a car in Ashland? While the usual tourist destinations in Ashland can be nice to see, why not head out for the day and explore some cool new sights with a rental car via Travelocity? Make a beeline for Enterprise and you'll be navigating the busy streets in no time. They are located at 1a Foster St Ste 2, a short 2 miles (3 kilometers) from the middle of the city. Ashland Railroad Station Museum is just the ticket for avid trainspotters. Explore its fascinating exhibits and see the rich history of the rail industry come to life. Seeking more nearby options? If you've got a curious mind, stop by Pauline E Glidden Toy Museum. You never know what you'll find out here! But that's not all. Few things give us a tangible look into yesteryear quite like old buildings. Why not explore the interior of Whipple House Museum and learn a few titbits about what went on behind closed doors? Holderness is an interesting place to visit while you are in Ashland. It is just 3 miles (5 kilometers) away. 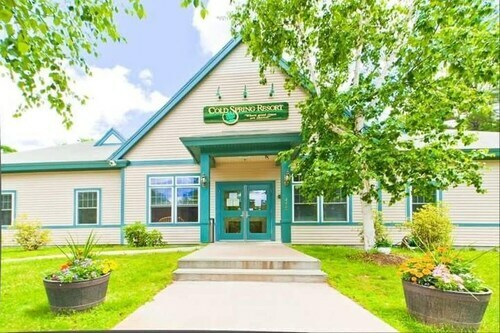 This family-friendly Ashland hotel is located in the mountains, within 1 mi (2 km) of Pauline E Glidden Toy Museum, Whipple House Museum, and Ashland Railroad Station Museum. St. Mark's Episcopal Church is 0.8 mi (1.3 km) away. 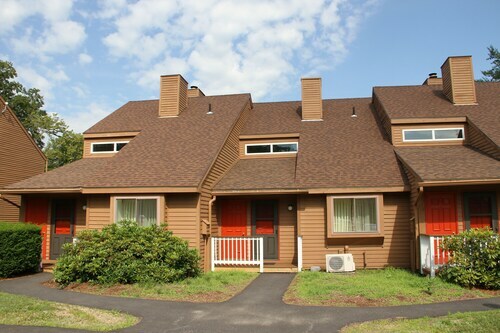 This family-friendly Ashland condo resort is located in the mountains, within 3 mi (5 km) of Silver Center for the Arts, The Flying Monkey Movie House and Performance Center and Plymouth State University. 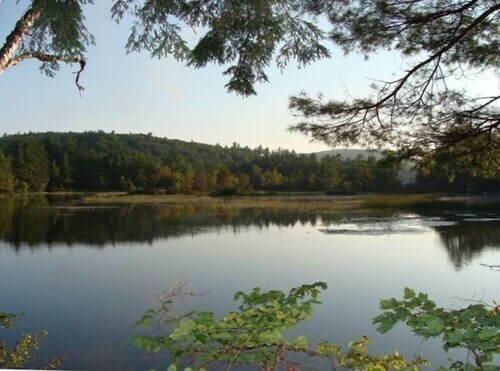 Polar Caves Park and Squam Lake are also within 20 mi (32 km). Situated in Ashland, this golf bed & breakfast is within a 10-minute walk of St. Mark's Episcopal Church, Whipple House Museum, and Pauline E Glidden Toy Museum. Ashland Railroad Station Museum and Scribner-Fellows State Forest are also within 3 mi (5 km). 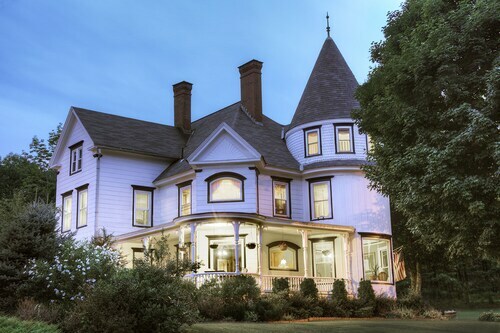 Situated in the historical district, this bed & breakfast is within 1 mi (2 km) of St. Mark's Episcopal Church, Whipple House Museum, and Pauline E Glidden Toy Museum. Ashland Railroad Station Museum is 1.2 mi (2 km) away. 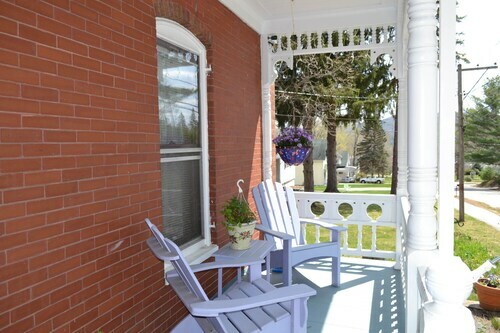 Situated in Ashland, this vacation home is within 2 mi (3 km) of St. Mark's Episcopal Church, Whipple House Museum, and Ashland Railroad Station Museum. Pauline E Glidden Toy Museum and Squam Lakes Natural Science Center are also within 3 mi (5 km). This family-friendly Ashland property is within 2 mi (3 km) of St. Mark's Episcopal Church, Whipple House Museum, and Pauline E Glidden Toy Museum. Ashland Railroad Station Museum and Squam Lakes Natural Science Center are also within 3 mi (5 km). 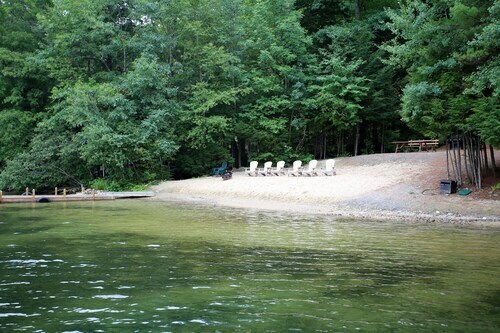 This family-friendly Ashland vacation home is located on the beach, within 3 mi (5 km) of St. Mark's Episcopal Church, Whipple House Museum and Squam Lakes Natural Science Center. Ashland Railroad Station Museum and Pauline E Glidden Toy Museum are also within 3 mi (5 km). 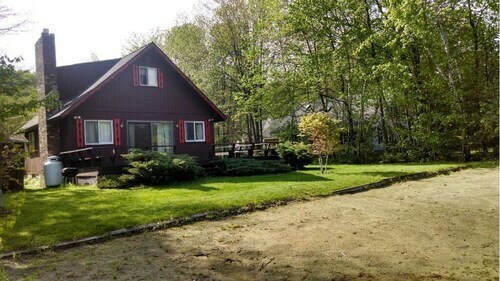 Situated in Ashland, this vacation home is 2.8 mi (4.5 km) from Silver Center for the Arts and 3.1 mi (5 km) from Plymouth State University. Plymouth Historical Society Museum and The Flying Monkey Movie House and Performance Center are also within 3 mi (5 km).